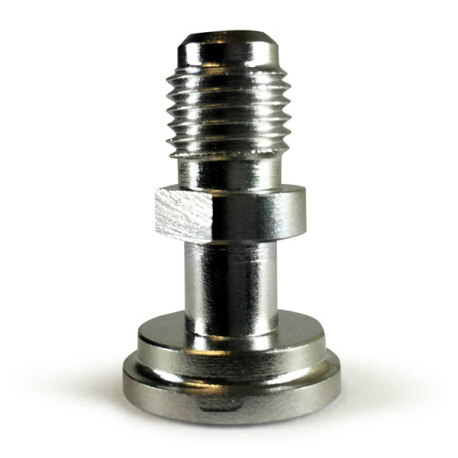 Do you have a home draft system and use both a sanke coupler and ball or pin lock kegs? 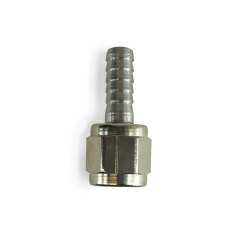 Instead of going through the routine of disconnecting your sanke coupler and reattaching ball or pin lock connections every time, make your life easier with a few of these tailpieces! 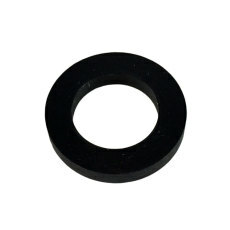 They have a 1/4" MFL connnection and can be used in conjunction with a hex beer nut and a neoprene washer on both the gas and liquid side of your sanke coupler. 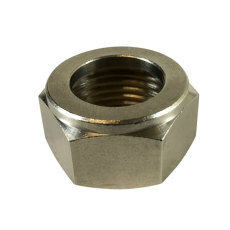 Simply replace your existing tailpieces with these, and hook up the respective swivel nuts to your gas and liquid lines.Whenever you want to use sanke or ball/pin lock connections, you can easily attach the swivel nuts to either setup! 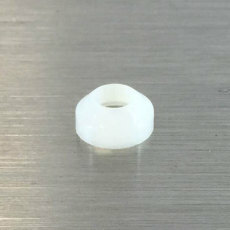 Please Note that we recommend using a flare fitting washer on the sanke side to completely seal the metal-on-metal connections (most modern ball and pin lock disconnects have plastic on the end of their connection, so a flare fitting washer is uneccessary unless you have an older style disconnect.) Make life easier for yourself and serve beer through any type of connection!